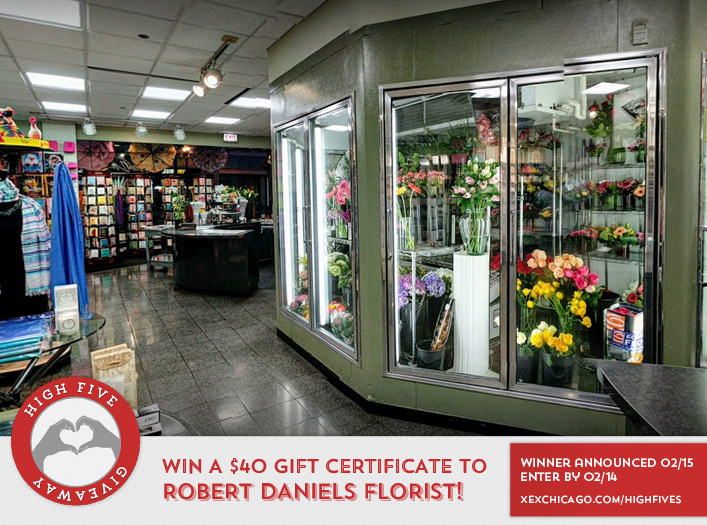 Win a $40 Gift Certificate to Robert Daniels Florist! Congratulations to Deborah Ward on winning our 184th High Five Giveaway and thank you to all who entered. Our next giveaway is for a $40 gift certificate to Robert Daniels Florist. XEX and Robert Daniels Florist are both located in the Leo Burnett Building’s Galleria of Shops. What is the name of one other business located in the Galleria of Shops? Now, just add a comment to this post with the right answer to be eligible to win! The winner will be announced on Thursday, February 15. Entries must be received by midnight on Wednesday, February 14. Good luck! 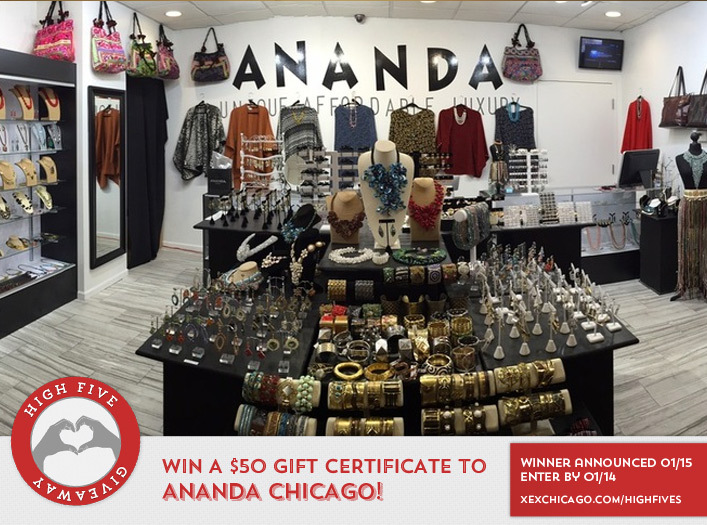 Win a $50 Gift Certificate to Ananda Chicago! Congratulations to Jessica Schleinzer on winning our 183rd High Five Giveaway and thank you to all who entered! 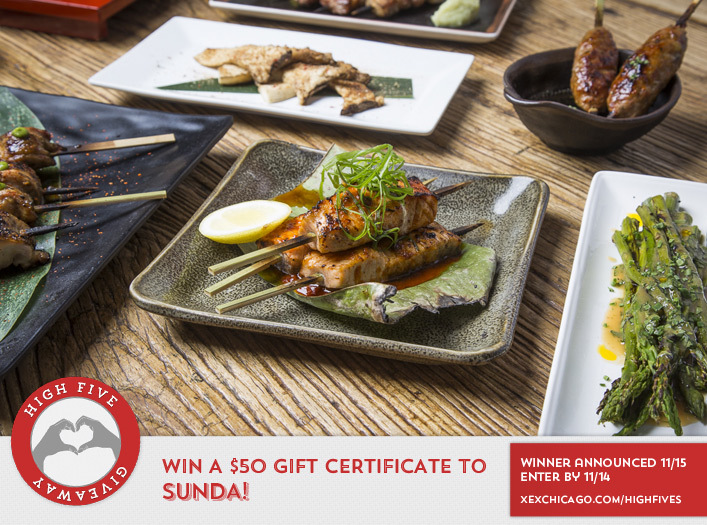 Our next High Five Giveaway is for a $50 Gift Certificate to Ananda Chicago. Ananda Chicago specialize in handcrafted jewelry with semi-precious stones, fresh water pearls and crystals. Ananda Chicago offers items for everyday wear as well as original statement pieces for special occasions. Thousands of items on display including handcrafted fashion jewelry, fine Italian silver, handbags, clothing and a complete bridal section. What was the name of the dog that was XEX’s Facebook Pet of the Week on December 13? Now, just add a comment to this post with the right answer to be eligible to win! 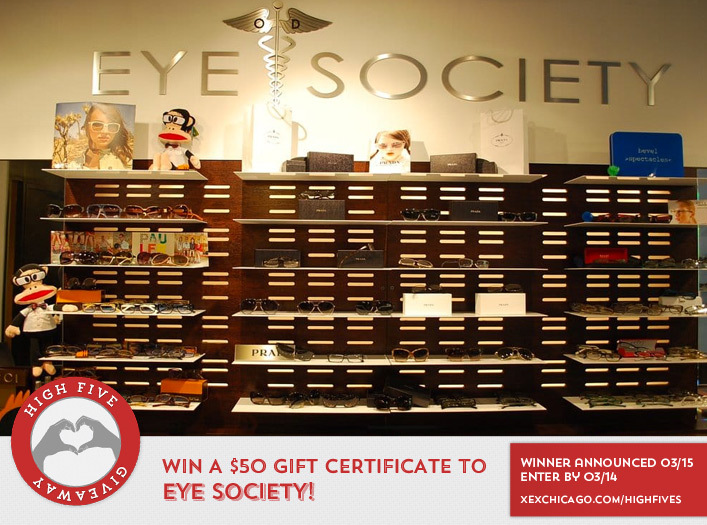 The winner will be announced on Monday, January 15. Entries must be received by midnight on Sunday, January 14. 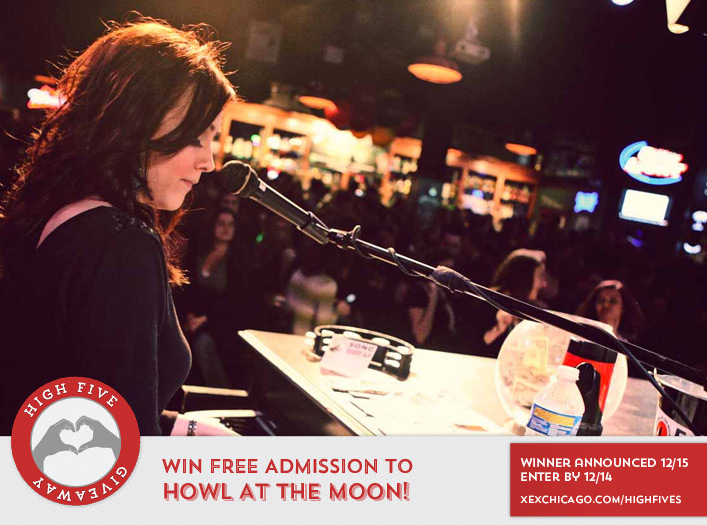 Win Free Admission to Howl At The Moon! Congratulations to Melissa Cobban on winning our 182nd High Five Giveaway and thank you to all who entered! Our next High Five Giveaway is for free admission to Howl At The Moon. Where is our holiday benefit on December 7 going to be held? Now, just add a comment to this post with the right answer to be eligible to win! The winner will be announced on Friday, December 15. Entries must be received by midnight on Thursday, December 14.